What to do with several overly ripe bananas that nobody will eat? Last time, I combined my bananas with blueberries for a delicious banana blueberry bread. 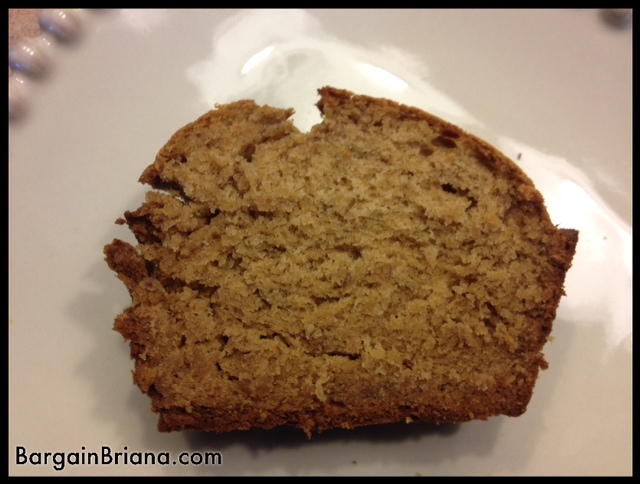 This time, I made just plain banana bread as Sofia had been begging me to do so! Combine butter and brown sugar until creamy. I used my stand mixer. Then add eggs, banana, and vanilla and beat until well combined. In a separate bowl combine baking soda, flour, cinnamon, and salt. Add mixture to a greased loaf pan or muffin pan. Bread is done when you insert a toothpick into the center and it comes out clean!